I imagine no one but director Wim Wenders would have thought to cast Dennis Hopper as author Patricia Highsmith’s amoral, suave con-man, Tom Ripley, in The American Friend, his ’77 adaptation of the novel Ripley’s Game, but think it he did. Hopper plays Ripley with a cowboy hat and a very cool demeanor. In ’02, Italian director Liliana Cavani, best known for her notorious ’74 film, The Night Porter, which people seem either to love or loathe (haven’t seen it myself), made her own version of the Highsmith novel, one more true to its source. I imagine literally everyone would have thought to cast John Malkovich as Ripley, and so too did she. He plays Ripley as, well, as Malkovich. Not hard to see him nailing suave and amoral. I watched Ripley’s Game first. I was underwhelmed. Malkovich is the best thing the movie’s got going for it. It has little else. It looks like a bland TV show from the ‘90s. I was surprised to learn the director had ever done anything of note, so pedestrian is it. North American distributors must have agreed. It was never released theatrically in the States. Perhaps an over-reaction. 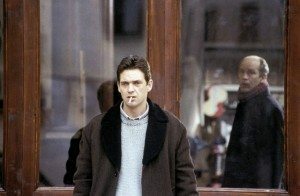 Malkovich overcomes the visual weaknesses to an extent, at least enough to have made some bucks in theaters with an art-house crowd eager for a little blood and murder in their Euro imports. But anyhow. Ripley is introduced trying to sell forged Modigliano sketches to some old dude whose manservant gets a little handsy with Ripley. So Ripley beats him to death with a fire iron, like you do. Clearly, a film not interested in subtlety. A few years later, Ripley’s living high on the hog in an Italian villa, when a neighbor, Trevanny, vaguely insults him at a party. Next thing you know, Ripley’s old associate in all things criminal, Reeves, stops by looking for someone to kill a guy. Ripley says hey, I know the perfect sap, a guy named Trevanny, he’ll do it, he’s dying of leukemia anyway. So Reeves goes to Trevanny, who’s really rather quick to jump on the offer of going from meek, law-abiding picture framer to killer, so long as he gets a trip to Germany to see a specialist for a second opinion on his cancer. Motivations aren’t handled well in Ripley’s Game. Wenders, in The American Friend, does a much better job. 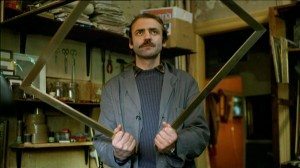 His mild-mannered picture framer, named Zimmerman, is played by the great Bruno Ganz, and, wisely, Wenders actually makes a real character out of him. In Ripley’s Game he’s presented as a pawn. It’s as though Cavani imagined this was a story about a guy named Ripley. But it’s not. It’s about the man Ripley turns into a killer out of pique. Wenders gets this. Ripley sets the story in motion, and returns toward the end as a major player, but he’s not the focal point. This is Zimmerman/Trevanny’s journey, and the audience has to feel they know him. 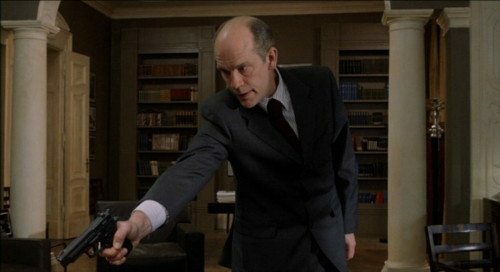 In The American Friend, Ripley isn’t introduced murdering anyone. 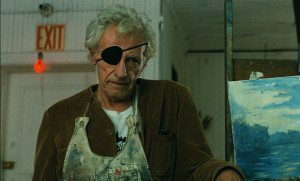 He meets up with his buddy the art forger, played by director Samuel Fuller, to get a new forgery he plans to have auctioned off. (Wenders has a history of casting filmmakers and musicians in his movies. Other directors in The American Friend are Nicolas Ray and Gérard Blain.) The auction scene is in every way more exciting than watching Malkovich beat a guy to death. Among the bidders is Ripley. He overhears Zimmerman, who works for the auction-house framing art, advising an American bidder not to bid too high. Seems the blue is the wrong shade of blue. After the auction, Zimmerman refuses to shake Ripley’s hand. “I’ve heard about you,” he says. Next thing you know, Ripley’s started a rumor that Zimmerman’s cancer is growing worse, and sends his criminal buddy off to recruit him for the hit. Hopper is great as Ripley. Easily one of his best performances, an unusually low-key and focused one. In only one scene does he break out in a nutty Hopper laugh. And the cowboy hat. It’s perfect. Hopper plus the hat plus the character of Ripley makes for a kind of guy I haven’t seen in a movie before. You’re never sure quite who he is or what he’s up to, which it seems to me is exactly what this character demands. Malkovich is excellent, but he’s playing a suave sociopath exactly as we all picture suave sociopaths. Hopper is deeply unreadable. There’s no telling what he’ll do next or why he’ll do it. The way Ripley later forges a kind of friendship with Zimmerman is genuine and believeable in The American Friend. In Ripley’s Game the friendship doesn’t feel earned; it doesn’t even feel like friendship. Malkovich is too much the classic sociopath. We know he doesn’t care about Trevanny, so why is he suddenly helping him? And why, at the end of the film, does Trevanny make the sacrifice he does on Ripley’s behalf? As presented, it’s emotionally senseless. It feels like scenes are missing. The ending Wenders comes up with is his own and pretty much makes the movie. 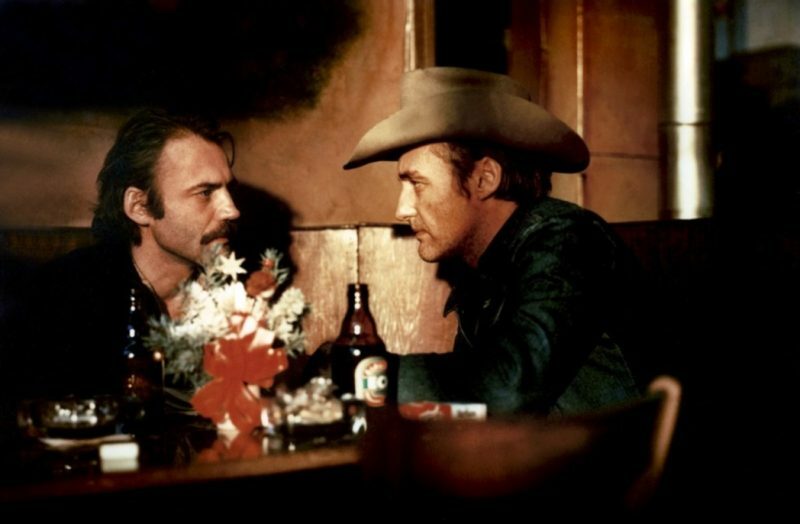 Wenders is all about creating atmosphere. His version of this story could easily be classed as a neo-noir. 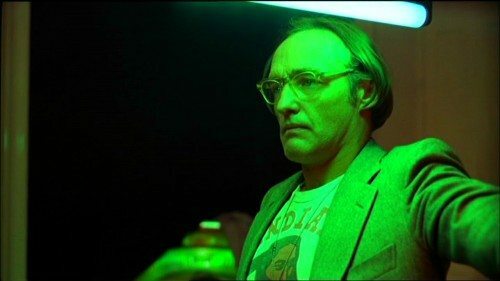 It’s shot beautifully by cinematographer great Robby Müller (whom you love for, among many others, Jarmusch’s Dead Man), dark and shadowy when needed, and, in the end, wide open and bright. His ending’s simple power is achieved without recourse to the absurd gunfight and self-sacrifice Cavani leans on to prop up her emotionally empty version. The American Friend plays like a noose slowly tightening around Zimmerman’s neck. He only agrees to see a specialist because he’s tormented by the rumor of his disease growing worse. His own doctor says there’s nothing to it. But the notion eats away at him. In Paris he’s told it’s true. He’s going to die soon. We know this is a fabrication by Ripley’s crooked associate, Minot, but Zimmerman doesn’t. Why not earn some easy money for his wife and child before he goes? The first hit is played in a Paris Metro station. Zimmerman is barely able to follow his mark from train to train, so shaken is he by what he’s about to do. He clutches his gun through the pocket of his overcoat and never once releases it. He stumbles into a trash bin and cuts open his forehead he’s so spaced out and close to mental collapse. In Ripley’s Game, Trevanny finds his mark at the insect exhibit in a zoo, where he likes to spend his days. Trevanny is nervous, but wastes no time in shooting him. Close-ups of insects are pretty and all, but why am I looking at insects? When Zimmerman sets out to make a second hit, aboard a train, he’s certain he’s going to fail, but isn’t this a better death than the one coming to him anyway? It’s never stated aloud, but it’s all there in Zimmerman’s face. Dougray Scott plays Trevanny In Ripley’s Game. He’s fine, but he’s no Bruno Ganz. The train scene is reasonably intense, but lacks any sense of style. 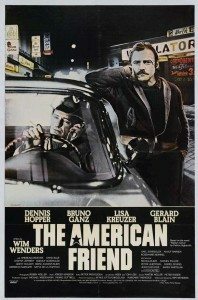 Wenders’ version is funny and tense and believeable. And this goes for the whole movie. As for Cavani’s version, I have a hard time seeing why it exists. In a word, it’s functional. Or, in another word, bland. 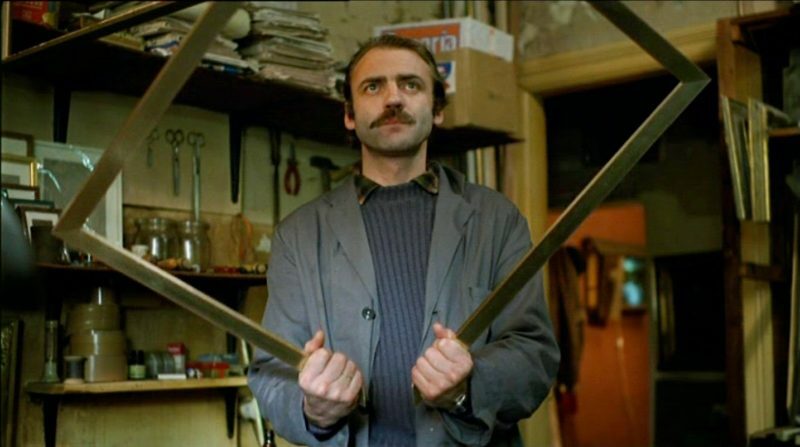 I’ve not always been a fan of Wenders’s work. A few of his movies I love, Wings of Desire especially, but others drive me nuts. The American Friend is one of his best. 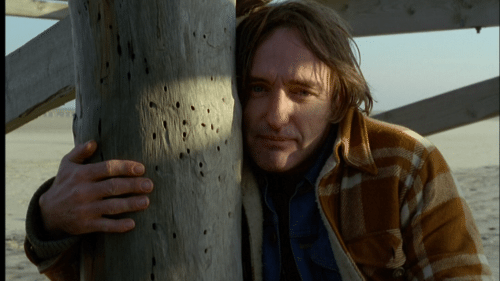 Wenders is greatly aided by having a plot to hang his slow-paced meanderings on. It allows him to indulge in the atmospherics and character development he’s so good at. Highly recommended to those fond of weirdly noirish character pieces. 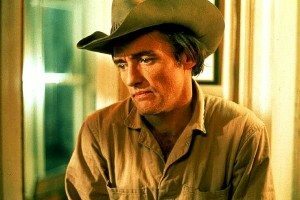 And of Dennis Hopper. Slight side notes but I only watched The Talented Mr Ripley for the first time a couple of months ago. I liked it more than I thought I would, but it’s a bit long but entertaining overall. I also watched Wings of Desire a few months back too. I absolutely loved it. Such a beautiful film. I found the tenderness of Wings of Desire a suprise but so moving. It’s a lovely movie with a lot going on. Wenders made a sequel called Far Away, So Close, which I saw once and hated with a passion. There’s a French version of The Talented Mr. Ripley from ’60 with Alain Delon as Ripley called Purple Noon. I haven’t seen it, but I think I will sometime soon. I think Sigourney Weaver was the best Ripley, but I’m most excited about seeing Matt Damon play Ripley in Neill Blomskamp’s new project. Do you think he can pull it off?